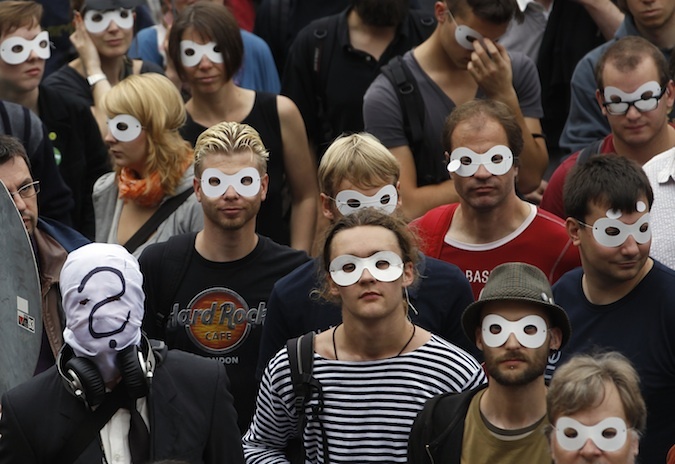 What Can Germans Teach Us About Privacy? In Berlin this week, I'll be trying to better understand how Germans are thinking about the surveillance debate that has roiled the free world in recent months. Conventional wisdom has it that citizens of this country are particularly attuned to the importance of privacy due to Stasi excesses during Communist rule. Has the resonance of the issue been overstated, as some observers suggested after the recent parliamentary election, when Chancellor Angela Merkel triumphed even as privacy advocates in the Pirate Party seemed to lose ground? Are German attitudes toward personal data protection spurring the country to refashion itself as a "Cayman Islands of privacy," or at least the leader of a Euro zone that reorients the Internet so that it's less NSA accessible? How are German politicians who favor greater protection for privacy planning to proceed? How do regular Germans talk and think about privacy? What confounds them about American attitudes toward privacy? Does the country's past have lessons for America? Is it a paradox that Germany has robust privacy protections online and coed naked saunas? Readers with insights into these and related questions -- especially German readers or Germany experts -- are encouraged to email anything and everything you're willing to share. Some of the "on site" reporting I do this week may be published in real time. Much of it will inform a longer piece on privacy and the privacy debate in Germany, where this subject has been pondered as much and as deeply as anywhere. I strongly suspect that the U.S. can glean useful insights from that work. As my reporting begins, I am aware that the subject I'm tackling will take far more than a week to comprehend (I hope to make contacts that help me to keep reporting this out for some time), and that Berlin is not the same as Germany as a whole. I also can't help but think of this place as an important test case for Western nations as leaders and citizens decide how best to navigate the digital revolution and its implications for privacy. On the German spectrum, Berlin is liberal, and on the Western spectrum, Germans are as attuned as anyone to what can go wrong -- what is corrupted and lost -- when a government is permitted too much power to surveil citizens. Today's surveillance agencies aren't best understood as new Stasis. But if a politics of robust privacy protections doesn't ultimately resonate and succeed in Berlin, of all places, can it succeed anywhere?